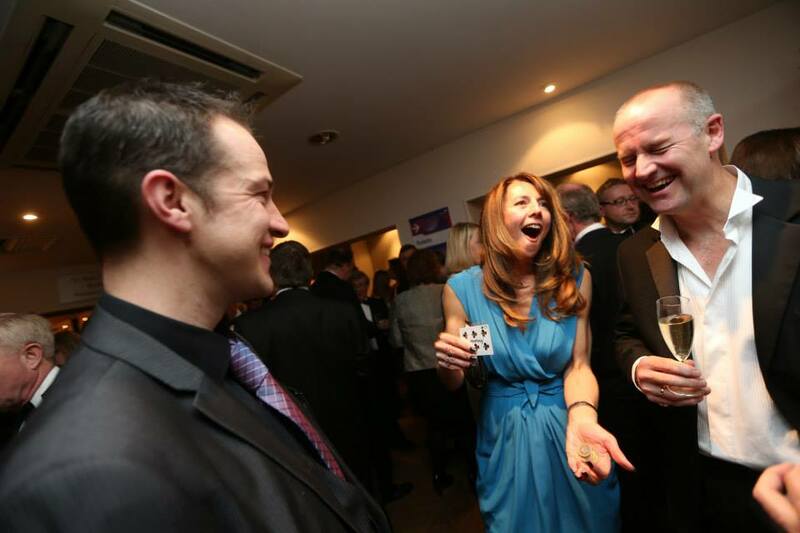 Magician Nick Rushton specialises in close-up magic which can be performed virtually anytime anywhere. 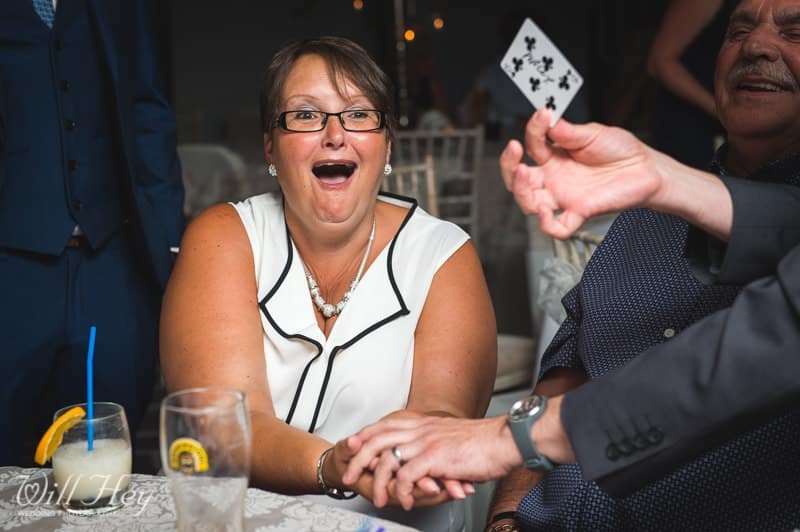 Mind-blowing, close up magic illusions performed right under your nose always creates a fantastic atmosphere at parties and events! 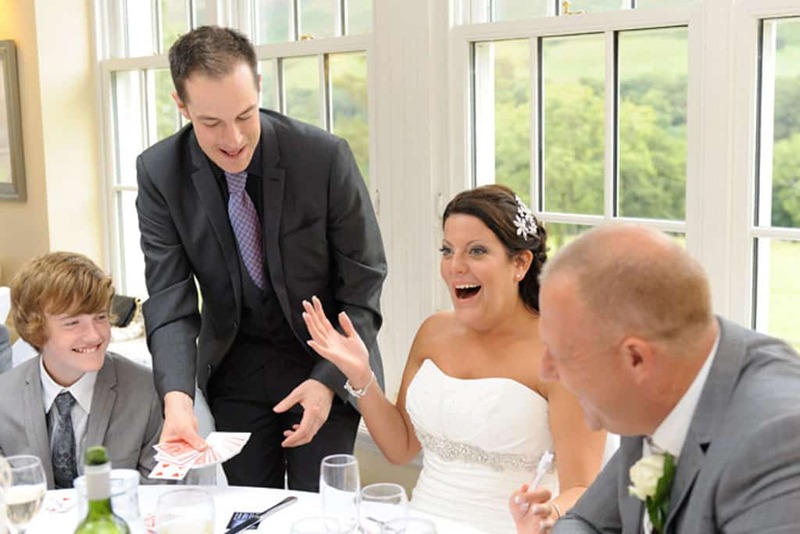 With over 20 years performing close-up magic and mind reading for paying audiences, Nick the magician will ensure everyone is thoroughly entertained at your wedding, party or corporate event. 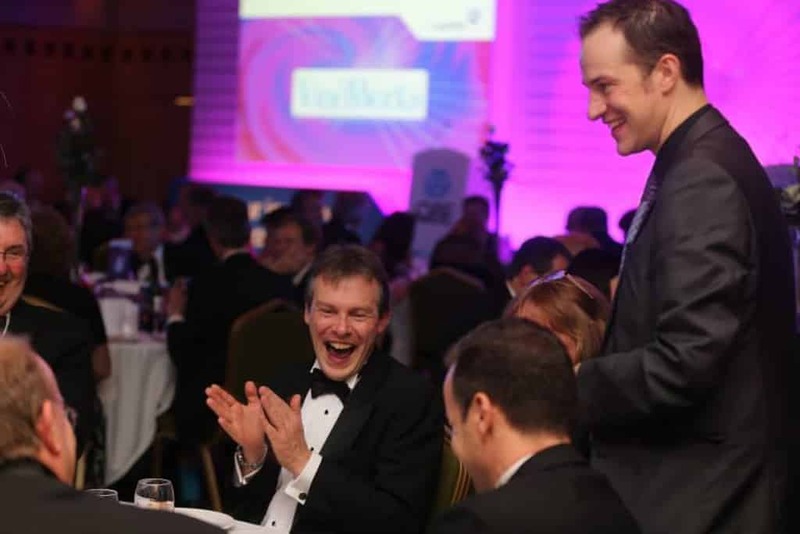 He has been booked as a magician for TV, has performed as a close-up / table magician for celebrities and has entertained at countless well known large corporation parties. As part of his unique routine, signed cards appear in impossible locations, coins completely vanish and cutlery seemingly melts before your eyes. A signed £20 note may even appear in the middle of a lemon! 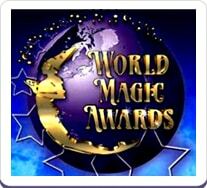 Cards, phones, borrowed rings, elastic bands and other small objects are used in sleight of hand and mind reading effects to amaze and astound everyone present. There is lots of audience participation and many laughs along the way! Everything is presented in a funny and lighthearted, yet absolutely astounding manor! The routine is fast paced, extremely visual and very exciting to watch. 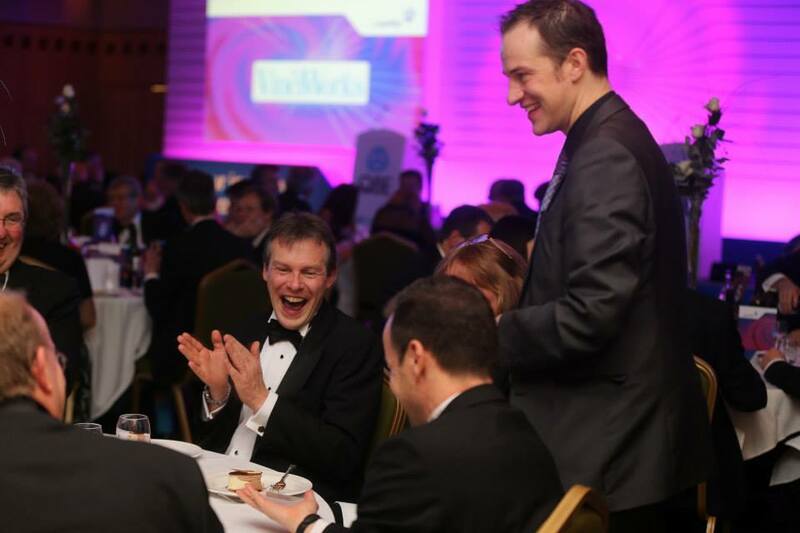 Nick the magician is based in Cheshire and travels all over the UK, so if you would like THE most amazing wedding magician, party magician or corporate magician – look no further! 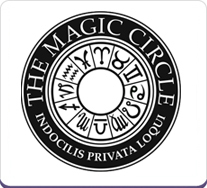 He also works as part of a team of Close Up Magicians for larger events. All of the UK covered including Staffordshire, Manchester, Cheshire, Derbyshire, Nottinghamshire, Leicestershire, Liverpool / Merseyside, Northamptonshire, Warwickshire and Shropshire. 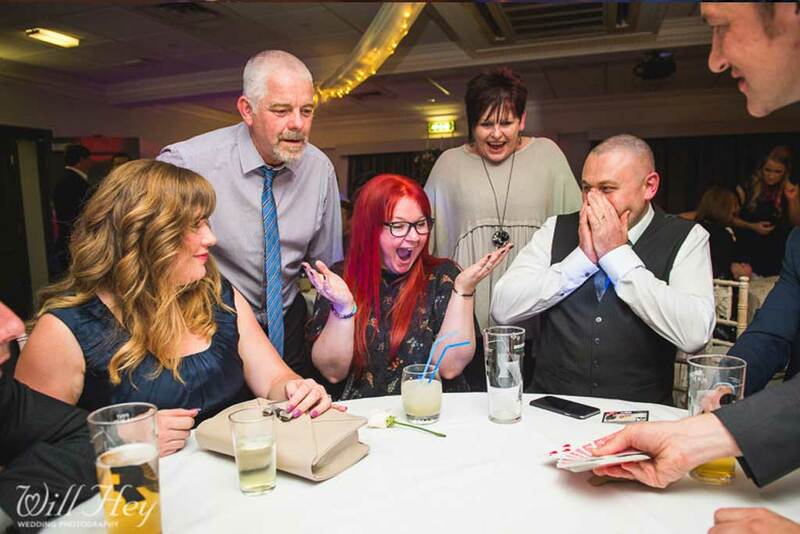 Amazing Magician = Amazing Reactions! 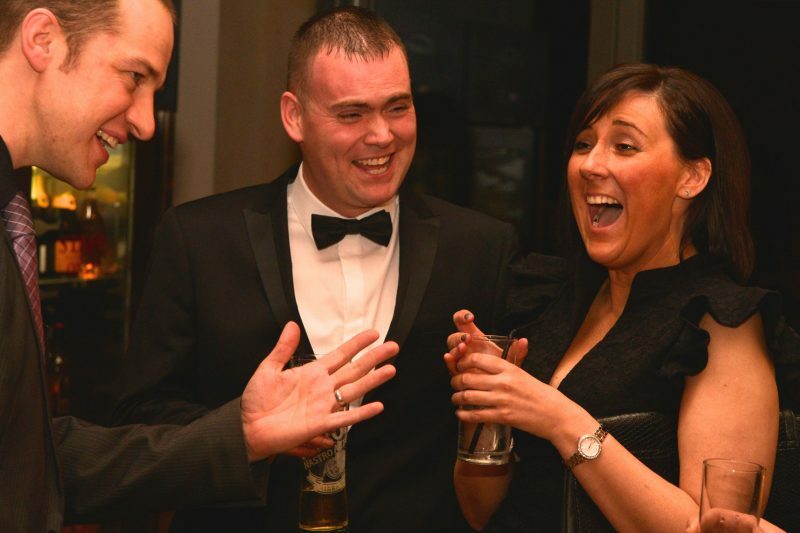 “Hi Nick Just wanted to say thankyou so much for last friday. We really enjoyed watching you and we’ve had fantastic comments from everyone that was there! 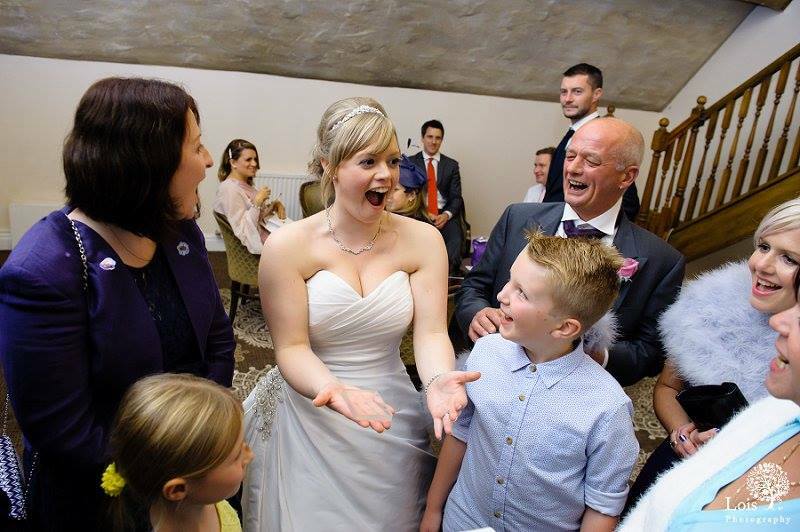 Your contribution to the evening made Chris and Laura’s day that extra special! Thanks again! "Everyone Was So Impressed And Astounded"